If you need conventional loans, then you need to contact your local banks and financial institutions for the same. It's not very easy to choose the right mortgage. In most of the cases, it has been found that borrowers don't know which home loans will be best suited for them. Smart borrowers always give due importance to mortgage shopping and also consider the advantages and disadvantages of different types of home loans before taking the final decision. 1. Lending institutions: Different types of loans are available in the market depending upon the type of lending institutions you take out the loan from. If you need conventional loans, then you need to contact your local banks and financial institutions for the same. In order to get such loans, you need to have a credit score of 720 and a down payment of 20%. Apart from that, the borrower will have to meet the employment requirements as set by the lender. If a borrower is unable to pay 20% down payment or does not have a credit score of 720, then he/she may go for FHA loan. Such loans require 3.5% - 5% down payment and a credit score of 620. If a person is trying to purchase a property in a rural area, then he/she may go for an USDA loan. If you're a member of a credit union, then they can even offer you loans which are available at a lower rate and better terms. 2. Interest rate: Depending upon the interest rates, there are two major types of mortgages available in the market - Adjustable rate mortgage (ARM) and Fixed rate mortgage (FRM). The adjustable rate mortgages are available at a lower rate initially. The interest rates may increase or decrease depending upon the market after a certain period of time. Mortgage borrowers who want an initial low interest rate can go for this type of mortgage. The interest rates remains fixed for the loan term in case of fixed rate mortgage. Compared to the initial low rates in an ARM, the FRM may have a higher interest rate. 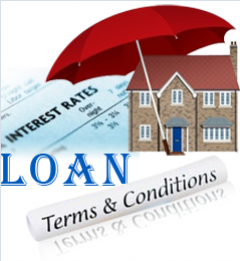 A lot of people prefer FRM as the interest rate remains same throughout the loan term. Changes in market situation won't affect the interest rate for this type of loan. 3. Loan terms: While choosing a loan term, it is very important that you think about ânext month, next year and the next decadesâ. There are lots of borrowers who go for 30 year mortgage but 15 year loan terms are also equally popular. It should be noted here that shorter-term loans can save thousands of dollars in interest payments over the life of the loan. However, shorter loan terms will have an aggressive payment schedule which many borrowers won't be able to afford. Also, a short term loan can be refinanced into a long term loan and vice versa.